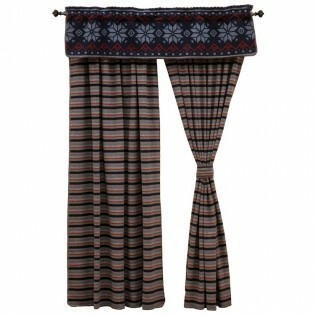 Give your windows a lodge appeal with the Nordic Valance and Alpine Stripe Drapes. The Alpine Stripe Drapes have a stripe design in dark denim blue, gray, pale blue with a touch of white. Matching tie backs are included. The Nordic Valance reflects a vintage ski lodge theme with a dark denim blue background that plays host to a pale blue, red and white design with an Alpine feel. 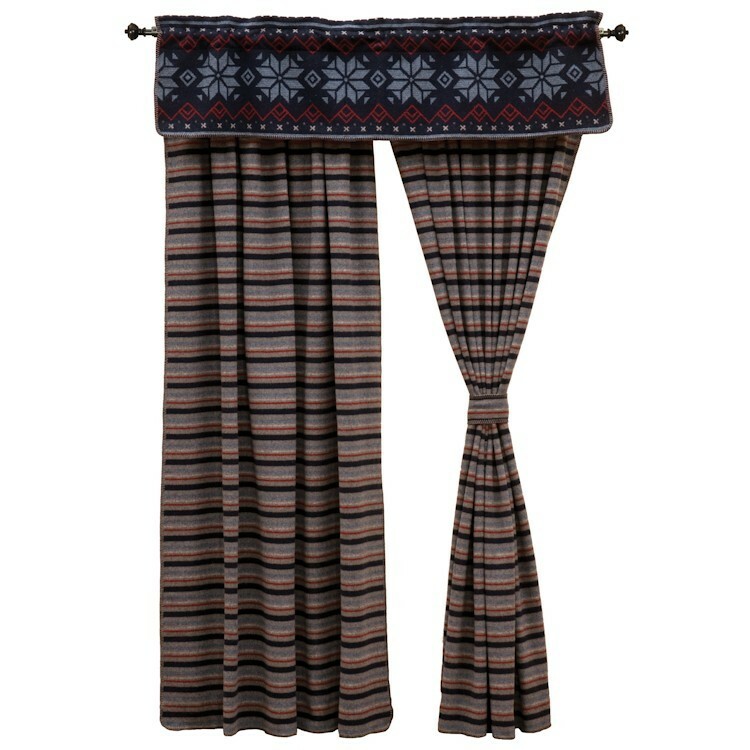 Give your windows a lodge appeal with the Nordic Valance and Alpine Stripe Drapes. The Alpine Stripe Drapes have a stripe design in dark denim blue, gray, pale blue with a touch of white. Matching tie backs are included. The Nordic Valance reflects a vintage ski lodge theme with a dark denim blue background that plays host to a pale blue, red and white design with an Alpine feel.